Certainly, there can’t be a better example of how commitment and fully engaging yourself with what you do than the life of Sylvester Stallone. There can be a lot of questions over how he managed to receive about $20 million per role, making him one of the best paid in Hollywood. Was it talent, a lucky coincidence or was it a combination of both? If you’ve ever wondered what made Stallone that special, you would never have guessed, probably, that the reason behind all the charm is an almost deadly mistake by the doctors who delivered him. A misused pair of instruments cut through a nerve, causing paralysis to the entire lower left side of his face. Tongue, cheek, and chin are all incapable of normal gestures and movements, being the reason behind the unique way of talking and acting. 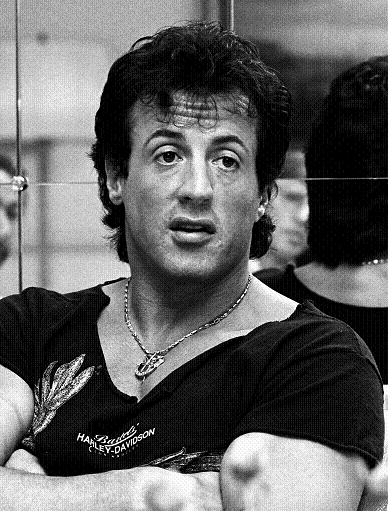 Initially, Sylvester Stallone started as a student-actor at which point he also began going to auditions. Because of all the defects, mainly caused by the aforementioned mistake, he was constantly rejected. He, however, did not abandon hope; instead, he learned and enriched his abilities, changed his overlook and swiftly transformed his acting. Doing whatever it takes was what kept him going and it proved a successful tactic for finally getting to his first role. His stubbornness and a bit of desperation caused him to stay for hours after an audition, sitting firmly on a chair, until he was given a chance. Even though it was a small part as an extra, it was still a role; it was the beginning of his career. However, this breakthrough didn’t get him anywhere at that moment; another series of rejections followed, causing even his wife to tell him to get a ‘real’ job and stop losing both of their time. But Stallone wouldn’t forget his dreams; it meant forgetting all that made him feel alive. This same stubbornness that got Sly his first role was going to bring him to a bankruptcy so severe, that changed his life… At some point in time, he had nothing to eat, he was so desperate that he had to sell his dog for $50, in order to survive. Being the sole living creature that was left with him at the time, this decision was really hard. This was the lowest level he had reached, he had sold his best friend! Silvester was sitting alone in deep desperation. On the TV he saw the boxing match between the world champion – Muhammed Ali vs. Chuck Wepner, and then something happened… Wepner was expected to be defeated in no more than three rounds, but this was not what happened. After three rounds he was really smashed, but he held the front for 12 more rounds. When he fell, he stood up. Wepner’s willpower and dedication really impressed Stallone, that man didn’t want to give up! This exciting example of determination gave Sly the idea of a story, the script of which was going to be written by him and was later going turn into one of the greatest movies of all times. “Rocky” was the title that stood at the top of the page of his script, which was written for as little as 84 hours. He believed, that this movie would change his life forever! Boxing, however, didn’t seem like a topic that would sell; the story itself seemed too straight-forward and quite predictable to the producers. Stallone, though, wouldn’t give up. He didn’t do it and it proved to be the right choice for, after quite some time, a company offered him a contract for $75,000 in exchange for the movie rights. But they didn’t want to give the main role to Silvester, as he wanted. Although this was a great success, he still wanted to be an actor and not a screenwriter. He was living on the street, he had no money, but he refused! This is the power of commitment! He wanted to be an actor and he finally did it! Hence, he gave an ultimatum to the producers – he wouldn’t sign unless he had the main role. The company offered $200 000 for the manuscript, but Stallone still didn’t want to give up his dreams. The price suggested by the company had risen to $360 000 dollars, just so he would give up… He said NO… Was he such a bad actor, we can’t help but wonder, but the fact is – his commitment was so big that it was impossible to take the dream away. Yes – he was broke and yes – he was probably irritated because of it, but not even a seven-number sum would make him sellout. After some time, the company agreed to his proposal and Sly got his lead role. The money, though, was sliced in half the initial offer, as the contract read that he would get only $35,000 for both acting and screenwriting, plus a percentage of the profits from the movie if any. He agreed right away. All he could hope at this stage was that the sales would be high and the royalties would be enough for a living. Incredible as it is, the first thing this now internationally famous actor did after receiving his payment, was to buy back the puppy he had previously sold in a moment of desperation, offering double the price paid. But the new owner was not interested. The price proposed by Stallone for the dog, which was originally sold for $50, reached a thousand US dollars, but the man wouldn’t budge to sell. Sylvester Stallone had already learned, that he had to fight for what he wanted (not literally 🙂 ) He wouldn’t abandon his most reliable and faithful friend. He paid half nearly half of the commission he received – the amazing price of $15,000 for the dog, together with a secondary role in “Rocky” for the seller. Happy and with his best friend, there was nothing that could bring him down. He needn’t even think about it, as “Rocky” grossed above $171 million and received nominations in ten Oscar categories, including Best Picture, Best Actor, and Best Director. 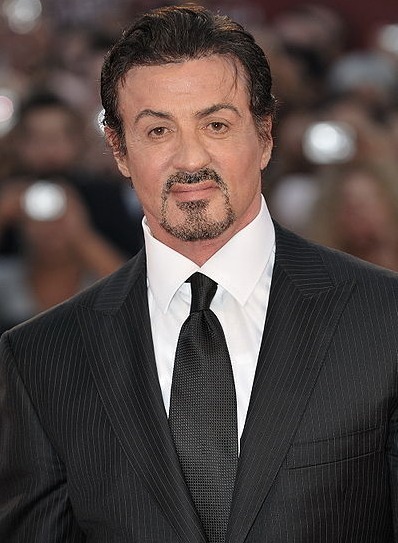 Winning two of them, Sylvester Stallone’s project shot him to the best positions in Hollywood. Having written the script and played the main role in the year’s best movie according to the American Academy of Motion Pictures Arts and Sciences, Sly was unstoppable. Within a brief period of time, he landed several key roles and, although his slurred speech and motionless lower left part of the face, turned out to be a legend within the cinematographic field. “Rambo”, “Rocky”’s sequels, “First Blood” – the movies kept coming. But where it started from was the fact that his mind was set: being an actor was his dream and he was not to give it up. So, in conclusion, we can only say: Follow your dreams and never, under any circumstances, give up! This is the only chance to make them happen!